This is where you’ll find very special LoveBentos. Each bento is themed and full of things we all love so very much. From the whole LoveBento team, our love goes out to Japan. We created this bentobox to help all LoveBento fans send their love to Japan - starting with the talented Paul Vickers. 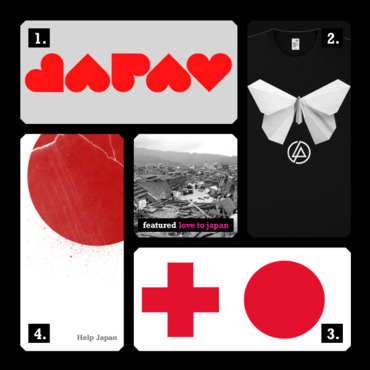 He has a background as a creative director and global branding expert, and to show his love for Japan, Paul has created this 'Love Japan - Help Japan' Poster in aid of the Sendai Japan earthquake and tsunami disaster. He's giving all proceeds from poster sales to Japan Aid via The Red Cross & Save The Children. Love. Music for Relief artists, music industry professionals, and fans have all come together to respond to Japan's deadly tsunami that caused unimaginable destruction. These limited edition T-shirts designed by talented Mike Shinoda are available now with proceeds benefiting survivors of the earthquake and tsunami in Japan. A must-have. We love the very sweet band Lullatone and now to help Japan they have made of all their must-have album downloads, “pay what you want”. We think this is such a great way to send your love and help to Japan. All the proceeds go to The Red Cross. Love. We love how James White has used his amazing creativity to help Japan, by designing the ‘Help Japan’ poster. The first batch sold out so quickly, James raised $7,000 for the Japan disaster which he donated to the Canadian Red Cross. Now the word is, he's printing a second run. So check out his blog to grab yours. truth.be.told Gary Pepper Vintage Scumptious Mandrake & Willow Love Vintage. LoveBento fans have told us how much they love Greeting and Stationery label, Truth.be.told, created by Melbourne based designer Jessica Hyde. Regularly scouring vintage stores for inspiration, Jessica's designs feel like a 1950s colourful dress. Her motto: 'there's nothing sweeter than receiving a lovely letter in the post'. Every piece is hand made with Jessica's illustrations. The perfect treat for your best of mates. The Gary Pepper girl is a Japanese pop star and our very own vintage obsession. She searches down the most beautiful vintage pieces and Melbournites can pick them up at her online boutique - which is fast becoming one of Melbourne's most loved vintage outlets. You'll also fall in love with her Gary Pepper Pieces store, which specialises in vintage accessories. A must visit. Melbourne has fallen for Scrumptious Production's collection of gorgeous earrings, bracelets, rings, headbands, bangles and necklaces. It's all created by super talented Kirsteene Phelan, who got bored with her job in 2007, and started making a range of lolly-like accessories instead. Every piece uses vintage components. 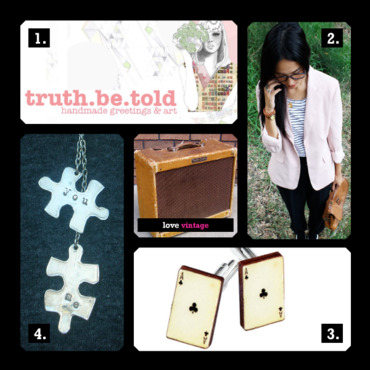 We especially love the Queen of Hearts necklace. Tucked away in Yarraville Village you'll find the super cute Mandrake & Willow. This Melbourne based shop specialises in unique handmade, fair-trade, organic & locally made clothing - with amazing pieces always on show. Most importantly they also feature some stunning vintage pieces that are so good - they'll make you want to come back every week for more. Love. We love this super cute Melbourne Etsy store! With the perfect gifts for Christmas, Paper and Ribbons has handmade Christmas cards adorned with beautiful grossgrain ribbons. And if you're looking for a gift that will really stand out, the lockets are a must. We especially love the Key to your Heart and Cutesie lockets. The perfect eco-friendly Xmas gift. These stylish bags do the same job as a plastic grocery bag without harming the environment. And the best bit - they've got style, so you'll actually want to be seen carrying one around Melbourne. Using one Baggu for 1 year replaces 300 to 700 disposable bags. Perfect stocking stuffers. All the way from Hollywood to Melbourne, the Labels and Love online shop is a haven of selected celebrity must-haves. Hard to find items can often be discovered here like Matt Bernson sandals and Tracy Zychs totes. 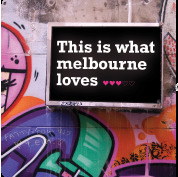 For that extra exclusive Xmas gift, Melbournites in the know shop here. Melbournites love the Threadless online store. Right now there's hundreds of Threadless t-shirts making their way to Melbourne for Xmas. So we're really excited that Threadless has teamed up with Griffin to create iPhone covers. It's original Threadless art on an iPhone 3GS and iPhone 3G cover. Love. 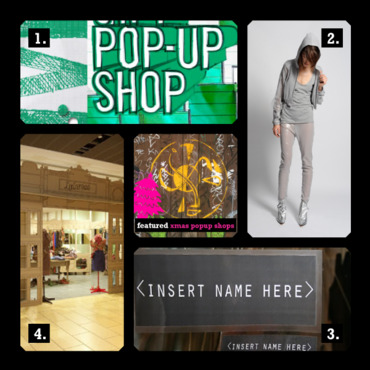 Pop Up Shops are not only popping up everywhere over Melbourne, they're also popping up everywhere online. Of course, Lovebento-ites have fallen for Sportsgirl's latest online Pop Up Gift Shop. It's just in time for Xmas! Love. It all happens on Dec 11. Fans of talented Melbourne fashion designer Alexi Feeman, be sure to visit Melbourne GPO where his very own shop will pop up. The Alexi Freeman Pop Up Shop will showcase pieces from his current collection as well as previous seasons. Plus must-see collaborative installation work from Alexi and Aaron Roberts of Room11 Architects. Our Xmas wishlist just grew. It's a LoveBento Fan Favourite: Out of all the Pop Up Stores in Melbourne right now Melbournites love the <Insert Name Here> Pop Up Store at Georges on Collins. 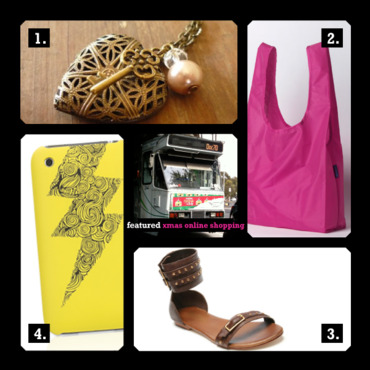 It has been super popular ever since it popped up in November and features the most loved Eva Q, T-Shirt Garage & Joolz. But hurry - this gorgeous shop will be open for only three more weeks! Melbourne design fans have fallen for Breathe Architecture. And fans can now experience the best of Breathe's aesthetic style at Lulamae's new sustainable Pop-Up Shop. Like a storybook, the shop popped up Tues Dec 1 and is made from 100% post consumer waste recycled cardboard. It's fairytale Xmas love. By day she's a props buyer & set dresser in Melbourne's film industry and by night she is the creator of one of our most loved blogs - The Design Files. Here super-talented Lucy Feagins features a unique collection of creative people from all over. We especially love her interviews with some of Australia’s most talented designers, artists and more. Love. The latest from most-loved Melbourne writer, Adrian Fernand, gives readers a modern spin on social etiquette. Simply ask your question, and receive a comprehensive, witty and ultimately entertaining response. According to Adrian, I Do Believe I Came with a Hat aims to solve the mysteries of etiquette, social protocol and miscellaneous airs and graces. Always a great read. 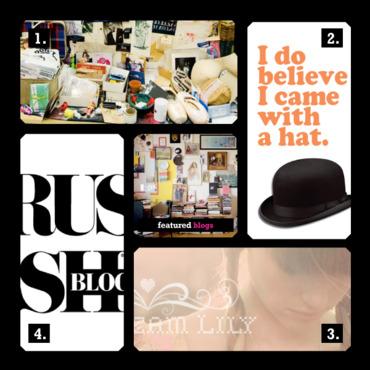 This super blog is most loved around town, documenting the daily inspiration of Liss Winnel. Here she posts what inspires her, and the reaction from readers is always the same - love. Fans especially enjoy her dreamy posts on photography, art, illustration and handmade work. Daydream Lily has featured amazing photographers, the likes of Sophie Takes Pictures, Hannah+Ladon and Yyellowbird. Always a dreamy read. So what have the fashionistas of Melbourne fallen for? It's the new RUSSH Blog of course. Full of our most loved beauty, fashion and simply gorgeous stuff - we love Russh Magazine and now Melbournites can get more of their most-loved mag online in this stylish blog. Love it.